The Church of Scientology has easily discharged the onus of showing that it is religious. The conclusion that it is a religious institution entitled to tax exemption is irresistible. Belief in a supernatural being, thing or principle; and acceptance and observance of canons of conduct in order to give effect to that belief. The most significant Australian authority on the question of what constitutes a religion…. The High Court found Scientology to be a religion. On the question of the current approach to the meaning of religion, the Scientology case provides the best elucidation. The terms belief and religion are to be broadly construed. Article 18 is not limited in its application to traditional religions or to religions and beliefs with institutional characteristics or practices analogous to those of traditional religions. The Committee therefore views with concern any tendency to discriminate against any religion or belief for any reason, including the fact that they are newly established, or represent religious minorities that may be the subject of hostility by a predominant religious community. The Australian High Court’s recognition of Scientology is especially significant in light of the religious persecution Scientologists suffered in Australia in the 1960s and early 1970s. The High Court’s ruling is significant not only because of its precedential value throughout the world of religion and the law, but also because less than two decades before its pronouncement, official harassment of the Scientology religion was rampant throughout Australian states. In 1963, following receipt of fabricated information from sources abroad, the government of the state of Victoria initiated a two-year inquiry (known as the Anderson Inquiry) into Scientology. Despite calling 151 witnesses and collecting more than nine thousand documents, no evidence was obtained to prove any wrongdoing. Still, the government was committed and would not let the facts get in the way of its agenda. Thus at the end of 1965, a State law was passed that severely restricted the religious freedom of Scientologists in the state of Victoria. Such a bill was then also introduced and enacted into law in South Australia and Western Australia. Once these draconian laws went into effect, the Church of Scientology in Australia and Scientologists in that country were targeted for harsh, repressive government actions constituting severe religious persecution. Scientologists’ homes were raided and Scientology religious Scriptures and artifacts were seized. Absent any evidence to support the measures, the Church was able to reverse the negative edicts over the next two decades: First the Church’s ministers obtained the right to officiate marriages under the Australian Federal Marriage Act in 1973 and one decade later, in 1982, the Victorian Government abandoned its untenable law and repealed the 1965 measure, thus restoring religious freedom and fundamental human rights to Scientologists. With the 1983 High Court ruling, the Church’s rightful place in Australian society has been fully legitimized. 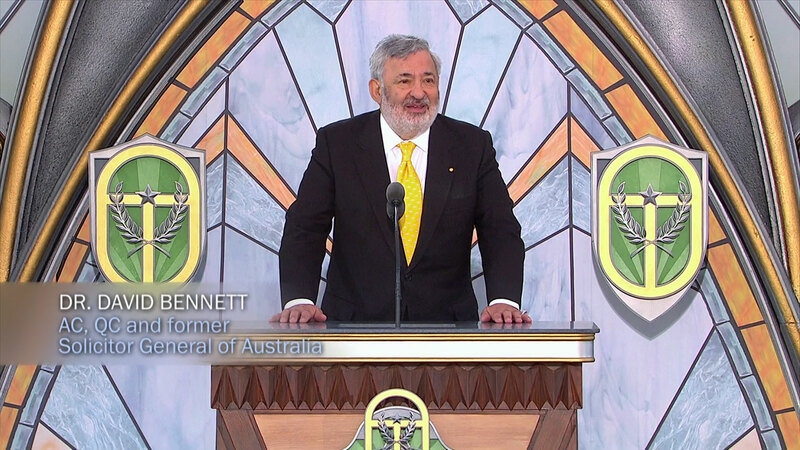 Today the Scientology religion is thriving in Australia, with thousands upon thousands of Scientologists, and Scientology Churches, missions and groups in every state throughout the country. * The Commonwealth of Nations—formerly the British Commonwealth—is a voluntary association of 53 independent sovereign States, most of which were once part of the British Empire.